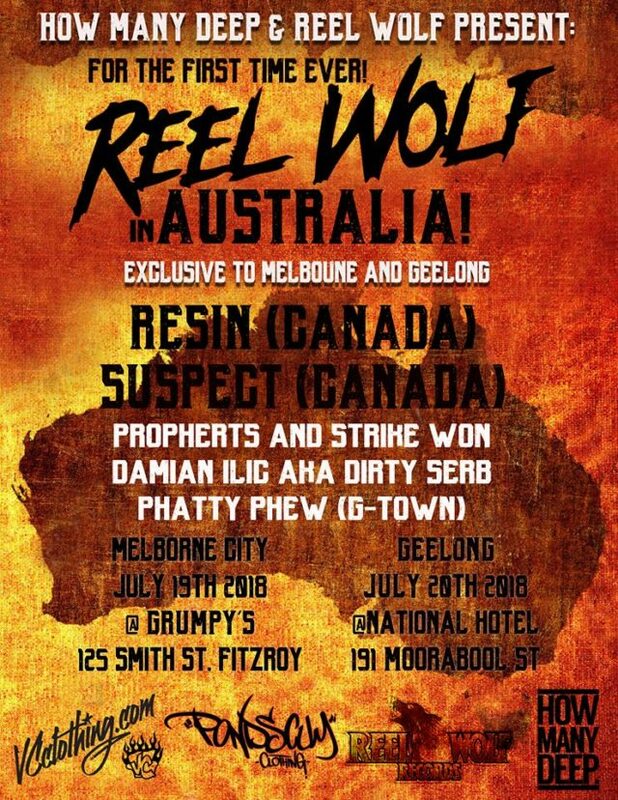 Reel Wolf’s own label artists Resin and Suspect are coming all the way from Canada to perform live and promote the Reel Wolf brand for Australian crowds exclusively in Melbourne. With Reel Wolf’s most popular song ‘The Underworld” featuring veterans in hip hop such as Tech Nine, Ill Bill, Vinnie Paz, Slaine plus many more reaching nearly 4 million views this international group is one to be reckoned with and is now coming to Australia not only to perform but to collaborate and film some more of their world renowned film clips with director Tom Vujcic. Come get involved and party with some greats as we make worldwide hip hop history in Melbourne, Australia! !